What is Gas Safety Certificate? : A gas safety certificate is a record which shows that gas appliances in the property mentioned are safe to use. The 1998 Gas Safety Installation and Use Regulations state that all landlords in the UK are required to maintain a valid Gas safety certificate. According to the UK Health and Safety Executive, a person is considered to be a landlord if they own any land and rents or leases the property for a term less than 7 years, or under a license. Why Gas safety certificate is very Necessary? If you are a UK landlord, and your property has a gas supply, you are legally responsible for ensuring that all gas pipes, appliances and flues are safe for your tenants to use. In order to prove that your gas system meets all the current safety standards you must have an up-to-date Gas Safety Certificate, also known as a Gas Safety Record. This can only be issued by a Gas Safe registered engineer who has thoroughly inspected your gas system. How can I tell if someone is able to give me a valid Gas Safety Certificate? Beware of rogue traders who offer cut-price certificates! Only trained gas engineers on the Gas Safe Register are allowed to issue the correct certificates. They will be able to show you a Gas Safe ID card with their name, photo and registration number on it. 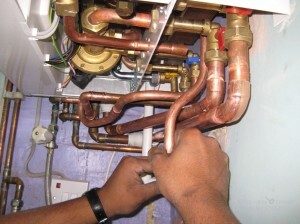 On the back of the card you will find details of the types of gas work the holder is competent to carry out. If you have any doubts you can easily check if the person’s name and number are listed on the Gas Safe Register website. For complete peace of mind that you are dealing with a professional, use a reputable local company that does its own checks and only employs properly qualified, experienced and registered engineers. Each flue and gas appliance must be checked at least once a year. What should I do with my Gas Safety Certificate? You will need to give a copy of the certificate to an existing tenant within 28 days of it being issued, and to a new tenant before they move into your property. You must keep a record of all gas safety checks that have been carried out for a minimum of two years. Must I get a new certificate each time I have a new tenant? If your current certificate is still valid you don’t have to renew it, but as you are personally responsible for the gas safety in your property you should always look at gas appliances and pipework when a tenant leaves to check that everything is undamaged and in good working order. If you are unsure about anything the safest option – for you and your new tenant – is to call in a Gas Safe registered engineer who can carry out any repairs or servicing that might be needed. What will happen if I forget to renew my certificate? Gas safety is a matter of life and death and ignorance of the law, or forgetfulness, is no excuse for not having a current certificate. You can be fined, or even imprisoned, for not complying with gas safety regulations. Both the Gas Safe Register and the Health and Safety Executive publish information and advice on gas safety for landlords. You can also trust a professional heating and plumbing company to be familiar with all the latest regulations and have the expertise to find solutions to any safety concerns you might have. Your Gas Safe registered engineer may give you gas safety information to show your gas appliances are working safely. After a Gas Safe registered engineer has fitted or serviced your gas appliance, they will often leave you with a report which explains what checks they did. This report may be issued as a gas safety record, sometimes referred to as a gas safety certificate depending on the job you have asked them to do. It isn’t always a legal requirement for your engineer to give you this type of information, but many Gas Safe registered engineers will provide it or similar. The gas safety information tells you that the gas appliance or gas fitting has been checked to see if it is working safely and meets the correct safety standards. This information may also tell you when you next need to service the appliance. Did you know that your landlord has legal responsibilities when it comes to gas safety?, If you rent a property, ask your landlord for a copy of the current Gas Safety record. This record shows that gas appliances have had an annual gas safety check by a Gas Safe registered engineer. Landlords must also maintain gas appliances, so check the date when yours were last serviced as well. Are a gas safety check and a service the same thing? Not quite. A service includes a thorough clean of the appliance as well as the gas safety checks. After a new gas appliance (excluding flueless cookers) has been fitted, the Building Regulations in England and Wales require that the installation must be notified to your Local Authority. Your engineer needs to do this. Once your engineer notifies they have fitted a new gas appliance in your home you will receive a Building Regulations Compliance Certificate. 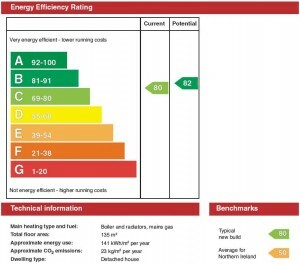 Find out more information on complying with Building Regulations. Simply call us to get your gas safety certificate.